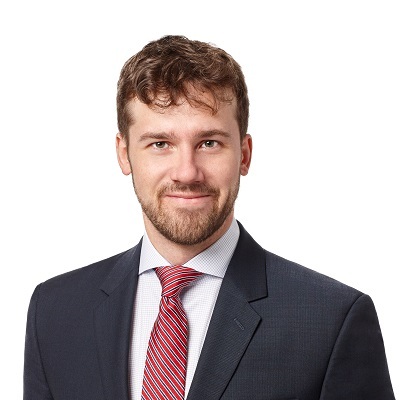 Alex O'Reilly is an associate lawyer in Gowling WLG's Montreal office. He practises primarily in Indigenous law, notably for regional and local governments, development corporations and a school board. As such, he is called upon to advise his clients on a vast array of legal and strategic matters, including issues pertaining to corporate and commercial law, governance, and employment and labour law. Alex has worked on a number of court cases - notably for constitutional matters, and has represented clients before the Court of Quebec, the Superior Court of Quebec, the Court of Appeal of Quebec and the Supreme Court of Canada. He also has a marked interest in injunctive proceedings. Prior to joining Gowling WLG, Alex O'Reilly practised at a major international law firm as well as at a boutique firm that specializes in Indigenous law. He practises in both English and French. Alex O'Reilly and Marianne St-Pierre Plamondon, « L'obligation de loyauté s'effrite : quelles protections reste-t-il à l'employeur? » in Développements récents en droit du travail, Service de la formation continue du Barreau du Québec, Éditions Yvon Blais, Volume 383, April 2014. Represented the Grand Council of the Crees (Eeyou Istchee) and the Cree Nation Government as interveners in the Reference relating to section 98 of the Constitutional Act of 1867 before the Court of Appeal of Quebec and the Supreme Court of Canada. Advised Indigenous development corporations on matters pertaining to governance, corporate law and labour law in the context of substantial internal reorganizations. Advised an Indigenous development corporation in the context of a shareholder dispute that led to the acquisition of a company. Represented Air Inuit and First Air in injunctive proceedings against a former officer and director who engaged in unfair competition practices.